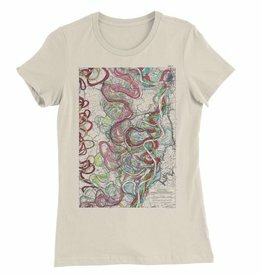 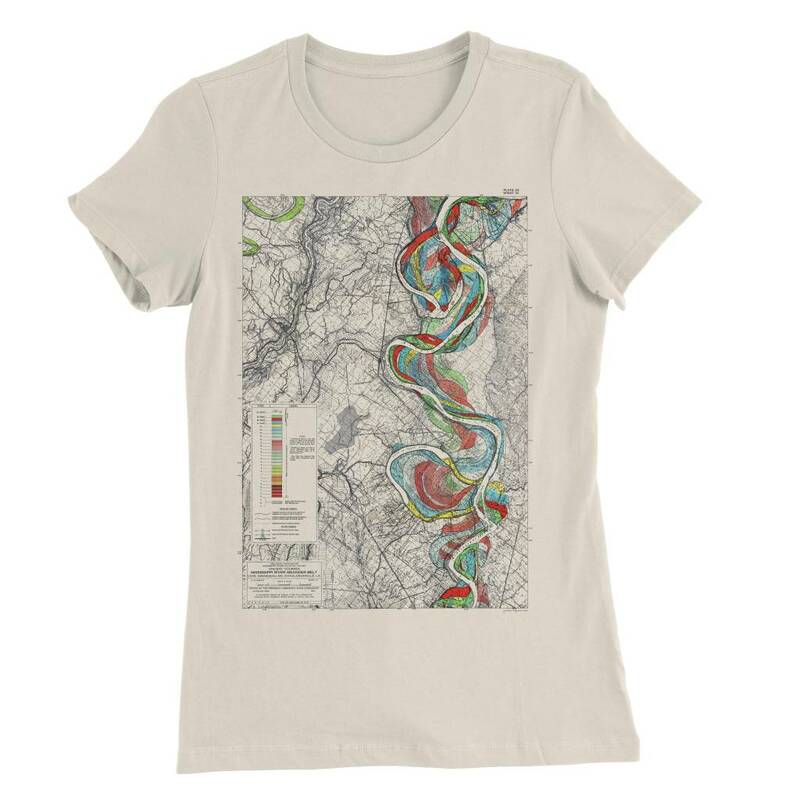 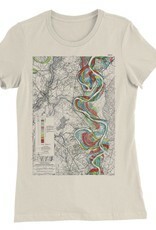 "Mississippi River Print #14" women's tee. 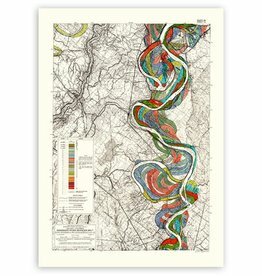 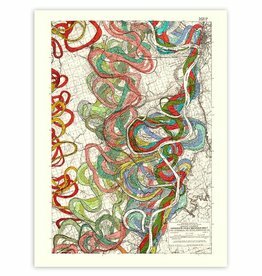 This map documents the Mississippi River as it travels from Pointe Coupee Parish through West and East Baton Rouge parishes. 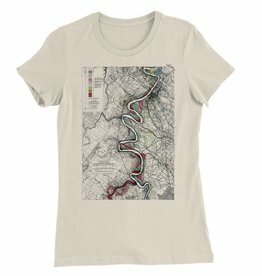 Points of interest include the Morganza Floodway, Atchafalaya River, Lake Fausse and Tunica Bend.